This October 17 - 31, East Austin bar Craftsman will transform into a haunted pop-up bar full of scares and surprises. The takeover offers a unique experience with a special “Boozery” themed cocktail menu with experiential drinks made with house-made elements and surprising garnishes. Skyynet October Cocktail. Courtesy of AFS Cinema. Film fans won&apos;t want to miss the Eyeslicer Halloween Tour at AFS Cinema; this transgressive anthology has carved out a bold new space in the midnight movie genre. 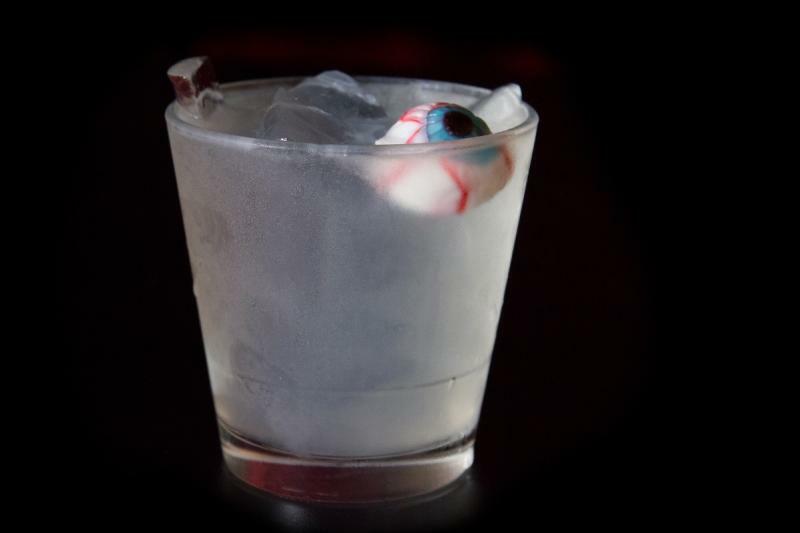 Come early to get the October featured cocktails, the Beet-lejuice and Skyynet (complete with a gummy eyeball!) and enjoy a pre-show party will be hosted by Elvira impersonators. Dance the night away downtown on All Hallows&apos; Eve. For one night only, Malverde, the private event space above La Condesa, will open its shackled doors for all souls who wish to enter. There will be a cash bar overflowing with spirited potions, a costume contest and tunes so groovy, they could raise the dead. Dress your ghoulish best for the Halloween Dance Party & Costume Contest at Elysium Nightclub, featuring the best goth, industrial and synthpop music all night long. One night of Halloween just isn’t enough and Gibson Street Bar is making sure you get your fix all month long. Every Friday and Saturday in October, come get in the spooky spirit with a DJ and get BOOzed up with some dry ice punchbowls and deadly cocktails. Austin&apos;s ghouliest everyone space, Cheer Up Charlies, is hosting two Halloween-themed parties throughout the weekend, so start your celebrations early with the Glowed Up Ball on October 27 and Happy Hell Night on October 30, featuring tons of local live music. Dress your best for the Glowed Up Ball&apos;s Monsters vs. Fairies costume contest; a portion of bar sales will be donated to local LGBTQ and POC-friendly health organizations. Tour the city in style and take a ride in the Haunted ATX Hearse Limousine to check out the landmarks in Austin that have officially been deemed haunted; such as the Clay Pit and the Littlefield House at the University of Texas. Ask about the Ghostly Love Stories package. A well-known historic hotel is also one of the most haunted places in Austin. You might have an eerie encounter across the street at Buffalo Billiards. The pool hall&apos;s purported ghost - nicknamed Fred - has been blamed for many weird incidents over the years. Visit the Historic Oakwood Cemetery on October 27 for a free Murder, Mayhem & Misadventure Walking Tour. Families and history buffs will love learning the unfortunate stories behind some of the cemetery&apos;s most infamous residents. For a supernatural experience year-round, Austin Ghost Tours offers guided on-foot tours to some of the city&apos;s most haunted places, turning an evening stroll into a walking ghost story. Join the investigation to discover who is lingering among the streets and alleyways of historic, downtown Austin. Upgrade your Halloween with brunch at the historic Hotel Ella&apos;s Haunted Mansion on October 28. Stick around after brunch to hear the ghastly tales of what goes bump in the night during spooky mansion tours, win treats by playing our outdoor games and activities and do the monster mash to live tunes by Shivery Shakes. Ghouls and goblins of all ages are welcome to enjoy games and activities, and costumes are encouraged! Journey in to the Beyond on Halloween night with the Brush Square Museums, The Susanna Dickinson and O. Henry Museums will be hosting an interactive Halloween event, including tarot readings, an adapted performance of O. Henry&apos;s "The Headhunters" by the O. Henry Players, pendulum divination lessons, a seance performance and more! 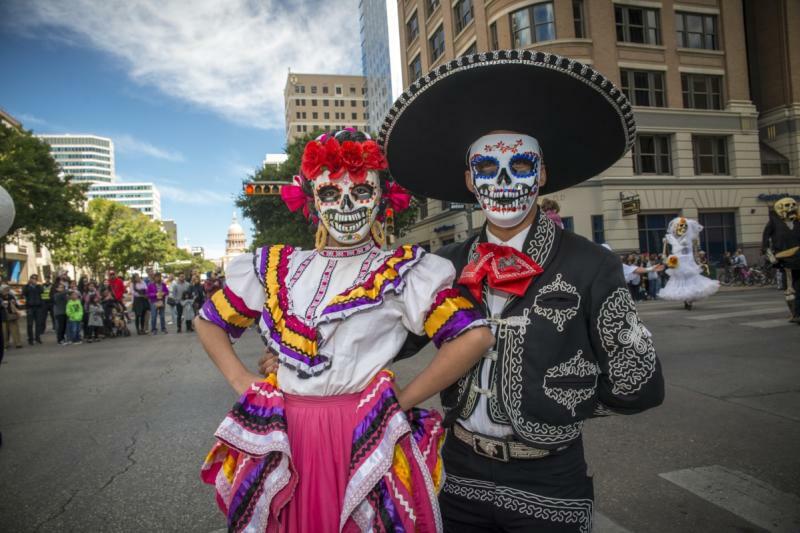 October brings a variety of Halloween-themed events to Austin. Creepy scarecrows, ghost stories and all things scary will be featured at Pioneer Farms&apos; annual Haunted Halloween Trails. The family-friendly spook-tober extravaganza will be open on Friday and Saturday nights, where visitors can choose from three separate spooky trails (fright ratings G, PG & PG-13), enjoy food trucks, dancing in the historic dance hall and more. Bring the kids in full costume to Boo at the Zoo (Friday and Saturday nights in October), where they can experience the Austin Zoo in a whole new way: in the dark. Train rides, musical entertainment, and unlimited Haunted House visits are also included in the fun. Back by popular demand, The Austin Symphony will be performing their annual Halloween Children&apos;s Concert at the Long Center&apos;s Dell Hall on October 28. If you&apos;re looking for a low-key autumn experience, head to Sweet Berry Farm between September 22 and November 4 for the annual pumpkin patch. Kids and adults alike will love the hayrides, Texas Hayfield Maze, pumpkin painting, scarecrow stuffing, face painting, crafts and more! If you&apos;re in north Austin, head to the Domain NORTHSIDE for Ghost Stories on the Lawn. Amazon Books will prepare the audience with a special reading of short ghost stories, then Alamo Drafthouse&apos;s Rolling Roadshow will host a screening of Tim Burton&apos;s "Beetlejuice" on the big screen. Bring the kiddos, blankets, and chairs, and come spend the evening on the lawn. Costumes encouraged! Head to Austin&apos;s children&apos;s museum, the Thinkery, on October 26 for a Halloween Hootenanny. Dress in your Halloween best; activities for kids and adults make this fall celebration spellbindingly fun for all. A cash bar will be available with beer, wine and kid-friendly drinks available for thirsty mummies. Courtesy of House of Torment. Like a trip through a modern horror movie, terror is felt throughout the season at House of Torment. The newly located horror destination features a year-round Escape Room and ghoulish new attractions. Prepare to scream as you journey through elaborate sets and come face-to-face with monsters, zombies and ghoulish characters. 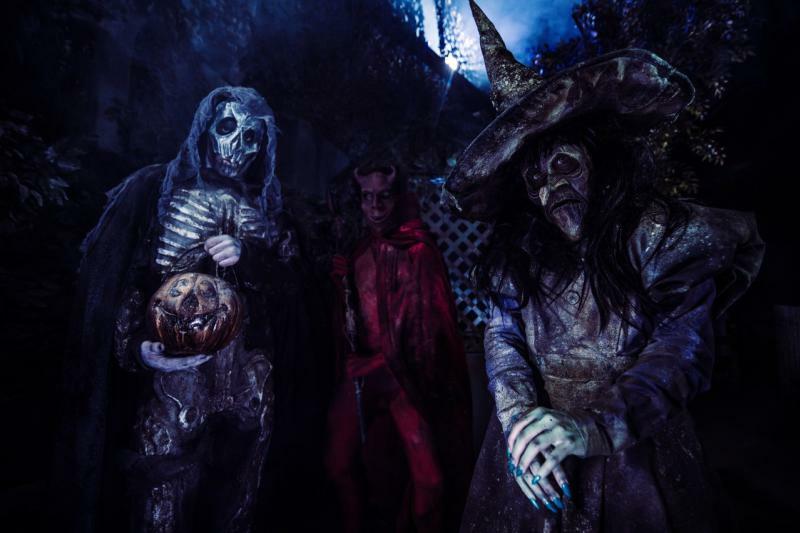 Scare enthusiasts looking for real fright should visit Scream Hollow just south of Bastrop. Beginning Fridays and Saturdays mid-September, experience 20 acres of terror and stroll through the Mansion of Terror Phantoms, take on the zombies in Lost Pines Zombie City or Vicious T. Mangles and the Slaughter Circus. No matter the route, be prepared to be genuinely scared. From October 20-November 4, 2018, celebrate Dias de los Muertos, the Mexican holiday that remembers loved ones who have passed. Several different cultural events throughout the month will feature a lineup of music performances, art exhibits and more. Viva la Vida. Credit Chris Caselli. Hosted by the Mexic-Arte Museum, Viva La Vida is Austin’s largest and longest-running Día de los Muertos (Day of the Dead) festival, and one of the few in the country with a parade. The festival features a Grand Procession, hands-on art activities, and artist demos, and a celebration with traditional foods, local artist and retail booths, a low-rider exhibition, live music and performances throughout the day. Light up your Halloween night with pyrotechnics at Kreig Softball Fields at the annual Texas Fireworks Día de los Muertos celebration, presented by Planet K. Enjoy face painting, live art exhibits, vendors, kids activities, a vintage car parade and food trucks before the big show at 9:30 p.m. on October 31. Honor the tradition of Dia de los Muertos at the Emma S. Barrientos Mexican American Cultural Center from November 2-3. This two-day celebration features tons of local musicians, dancers and artists, an altar exhibition, children&apos;s activities and crafts, face painting, food trucks and pan de muerto. For even more October happenings, check out our events calendar and check out our Ultimate Austin Fall Bucket List.